Started the weekend finishing the pump paint flaws, put oil in it, like 1/2 the required, pumped/shacked it and it went into one of my "this_one_is_done" boxes. In between things, gave bits of love to some other items, like this oil pressure sensor and many other little guys that will soon shine again on my already restored intake. Missing now only a new waterpump and about to get my heads back prolly this week, I've started on the engine. Crower (or lunatti) cam lobe became round. Not using break-in oil and modern oil instead might have been the reason. Checked by both a french and a dutch shop, they could not find any other potential cause. All was in perfect state, nothing damaged. All rechecked, reassembled with some new details, it was placed in hibernation well oiled within layers and layers of plastic to prevent any corrosion. 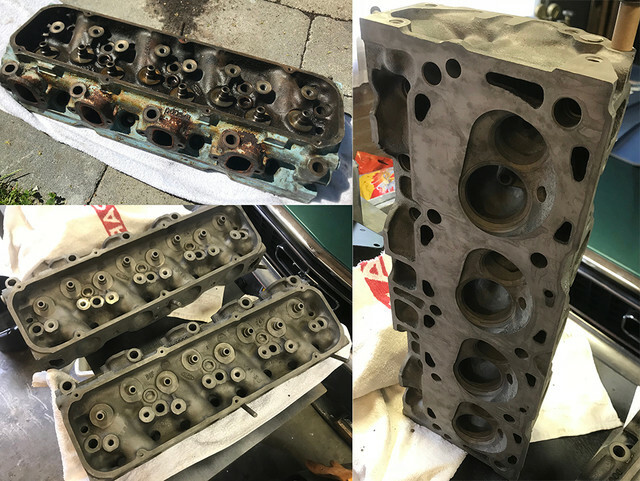 so I can soon start reassemble on a spotless block with a new colour. Purists may hate me for this, but no Ford blue in my cars. that all the engine parts and bolts of the engine I was missing were on the block waiting for me. Among them, was half of an engine mount. As these are very easy to find and very cheap (NOT!). I was kinda depressed. 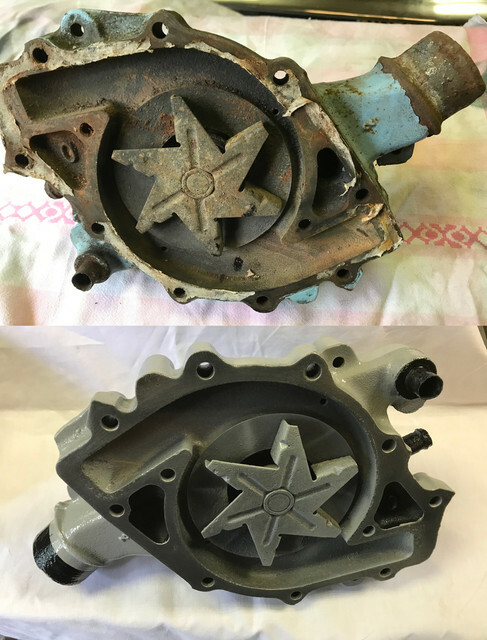 These babies are really no Mickey Mouse thingies, so I've used a more heavy brush to remove most of the corrosion, making in the process quite a bit of noise. Bath them into rust dissolver for a few, rinsed them afterward in clear water. Cleaned/degreased one more time and masked the surprisingly in very good state rubber. 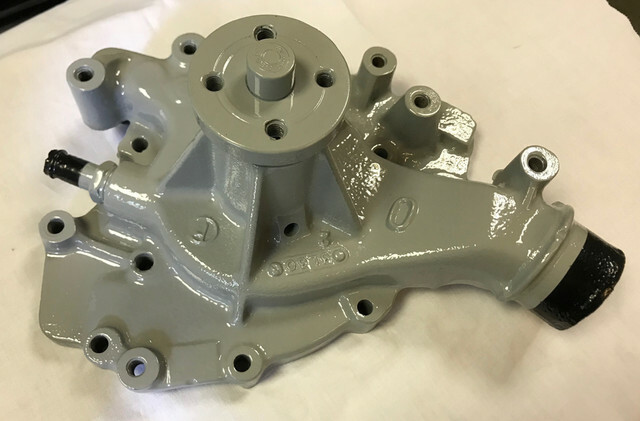 Sprayed primer, paint on the pair and other parts like the restored damper timing pointer. Too late to spray a final coat, they'll have to wait next weekend. Did some body work too, but that'll be for another post..
like if saying, why the PS pump and not me? I wasn't planning do this, but couldn't stand that anymore! So the weekend started with this alternator! As I like to see the before and after states. Here's the baby in its juice. Original, but pulleys, fan and brackets were chromed at some point. Just like the other pulleys, chrome isn't to be saved, Tho may be partially and it may get the same treatment as the crank pulley. First need to clean that mess. As I want to paint the pulley together with some other parts waiting for the same grey. The pulley needs go off. Unlike the pump, this pulley needs first to loose a locking nut and then be pulled off. other than an allen head shape in the middle. Doable and probably the official way to do it, but once more my do-anything vice came up with a simple trick that worked right away: Lock the unit so the blade would be sandwiched, and using progressive force, the lock nut came loose right away. Half work done, time for the pulley extraction. That's when I enjoy to have had lots of problems over the years with all kinds of pulleys on bikes and cars. I have now a collection of pullers, and after tried a few for the fitment, go the one. 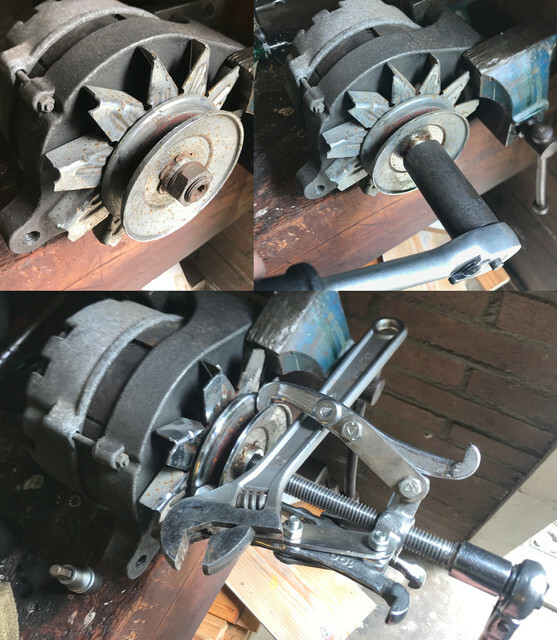 Prob is that this particular puller, needs to push/rotate on the center, so the head in the middle becomes useless, as the alternator spins with no effort, I had to be creative with the vice and the tool. A long wench going thru the puller and the other side laying on the vice axle worked as a lock. 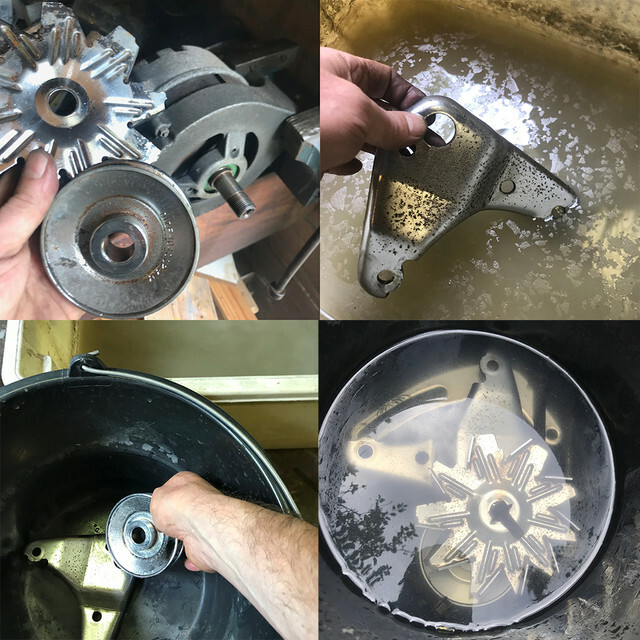 Without much force, and thank to the penetrating oil applied before, the pulley and the fan behind came out. 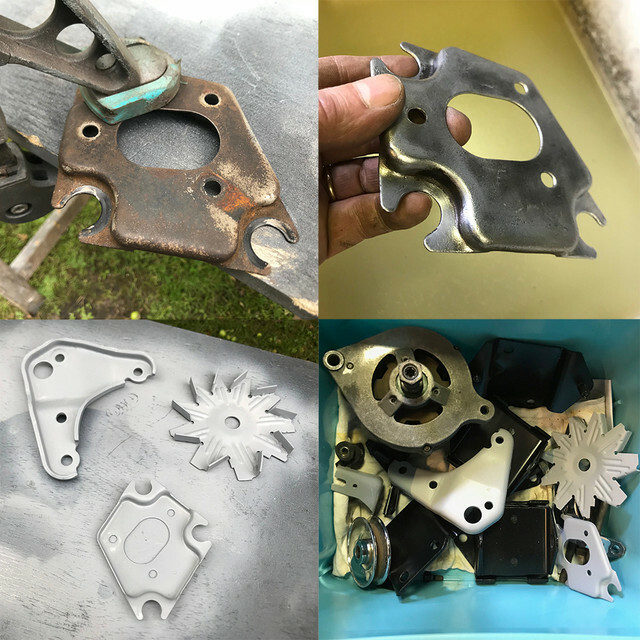 Just like for all parts, after a degreasing, they all went into a rust desolver to end up in clear water and being dried. They now wait with other parts to be brushed and later on painted. Plus my heads were back. So last week, I went get my refreshed and cleaned up heads. What a difference! Not that obvious on this pict, but aside the gasket surface, they were badly corroded and with a thick layer of carbon deposits. 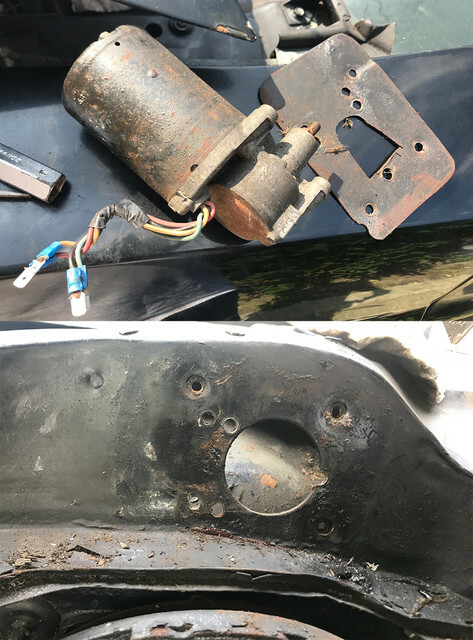 The kind of rust that takes ages to remove, because you can't go easy everywhere and because these weight a ton, I opted for a lazy route for once. 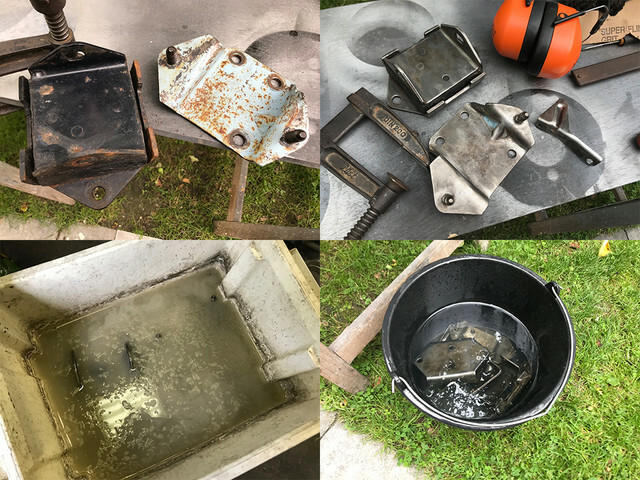 They received a chemical bath, a sound cleaning and because even after these there were not as I wanted they also got blasted on some bits where the rust was really thick. a closer look says it all. I can now read the casting They look like new. 45 years later, you realize that the doc and details for this particular engine, is kinda thin at times. and teach/guide me for this particular 429 engine and being a real friend. Thanks to Don C as well for his very sharp answers as I learn this engine. I would have a much harder time to put it back together without your help. I also learned a bit more of these heads, usually not being very attentive to original specs, Very different from the cleveland heads in 2V and 4V that I know. but no, turns out these heads, just like 385 series and interchangeable and can be put back on both side. But me being an old monkey, I preffer to have them back where they were. 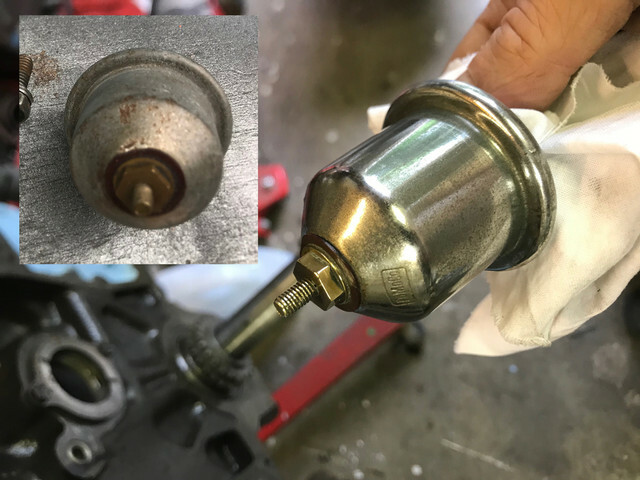 Thanks to a bolt still on one head, that could only be one of the PS PUmp bracket (assuming you know how the bracket fits) as I could not find anything logic for it on the back of the engine, I knew which side. I also discovered after, unlike most 385 series heads castings that these heads have a very small 1 and 2 as well, probably reffering as bank. These confirmed the layout. 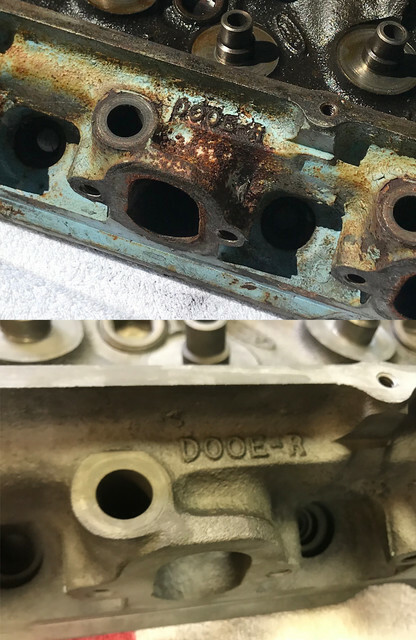 These DOOE-R heads were shared by 429 Cobra Jet and Super Cobra Jet. 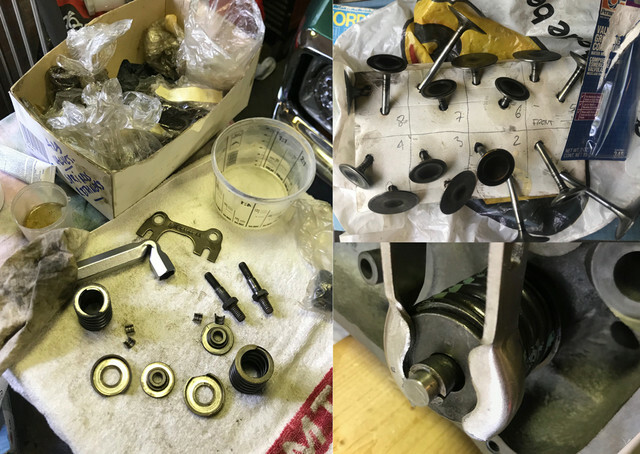 The extra parts for the valves, springs were available in 71 on only boss 351 and CJ/SCJ. Like an extra valve spring cup or the spring machined retainers and guides for the pushrods. Usually I don't really care much, I know its a CJ car and DOOE-R. doesn't really ring a bell. felt each and every valves, every hole with my finger to make sure all was smooth. Added oil for all contact surfaces with finger control first. Just so no grain of whatever could be found. Of course all had to go back at the exact original location. all had first to be inspected, old dirt and patina cleaned and oiled before go back. 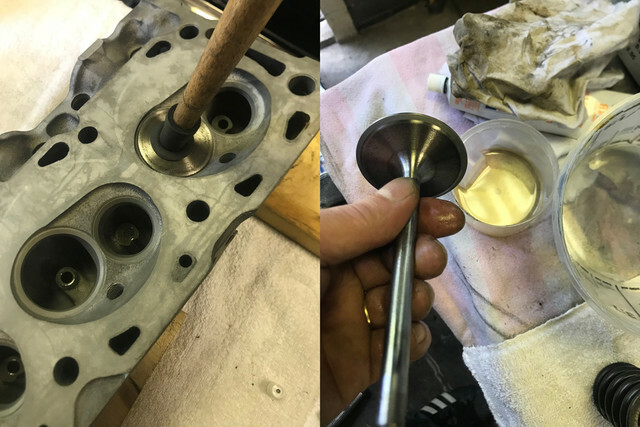 My valve compressor had a hard time and putting back the locks was tricky on the intake valves. It was just enough. Now 8 x 6 more parts to clean, oil, inspect and install and i should have the second one done very soon. Just as with the other bank done last week, each valves checked and paste turned first. Then the tedious "clean, inspect, oil, set new valve stem seal, assemble, repeat" cycle. Probably routined from last week, was boring for sure, but all the little guys took their place back without any fight. 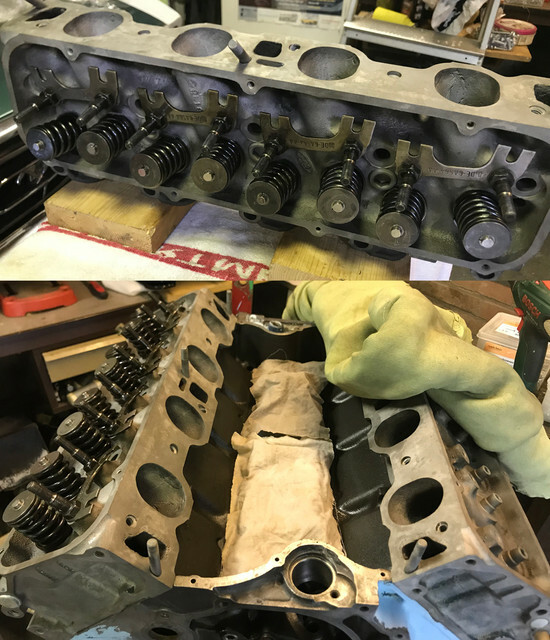 each "inner" bolt got cleaned and temp tested in block. While the external ones, went first for a brush massage, followed by few hours in rust dissolver, and to finish by a thin layer of paint. I know I will damage the paint a bit when i'll torque them, but a there will be more paint details to be fixed before I check the engine done, so for now, each part goes back on clean and protected. Tho perfectly functional, no play and only the expected corrosion on the metal in water passage/blade. 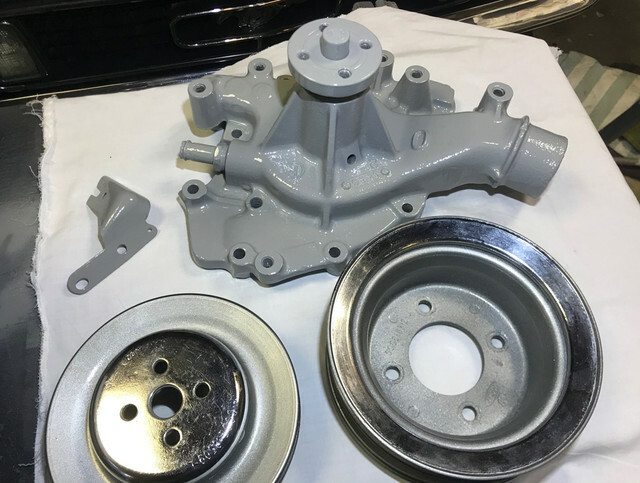 Until last week the plan was to order a new Ford aluminum water pump, as the current one was ugly and heavy. The part being in back order by Summit, I did not place the order after I saw the total (+shipment+import taxes). I thought, the current one is ugly as hell yes, but fully functional, strong and no play. What would happend if I let that thing dip into a dissolver for a few days... 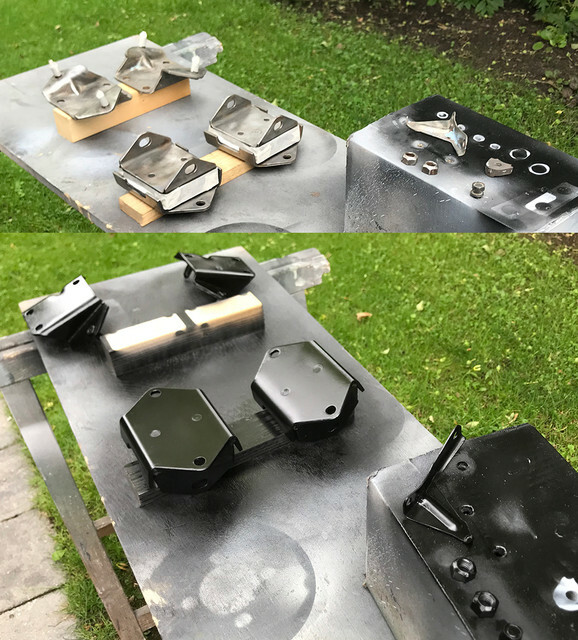 Turns out, most rust was gone, and tho still as ugly as before, I thought I could bring it back to an acceptable level of finish... Pretty pleased with the diff. As said a few posts back, I've decided not go for Ford blue. I reallly really dislike this color and can't find any reason to put a color that is a lightyear from any colour combos that I will use. Instead went for a Ford grey for the engine (with a small drup extra of yellow in its composition so its not as cold as a classic solid grey) and should marry nicely with the aluminium intake, valve covers and also the already painted pulleys using a metallic version that is a tad colder. Anyway, the day ended with a pump that is looking pretty good. Saves me almost 500 to get the new one here, and even if it would break on me, it will surely hold a few thousand miles before it does. Before I have that many miles on this baby its got take some time. 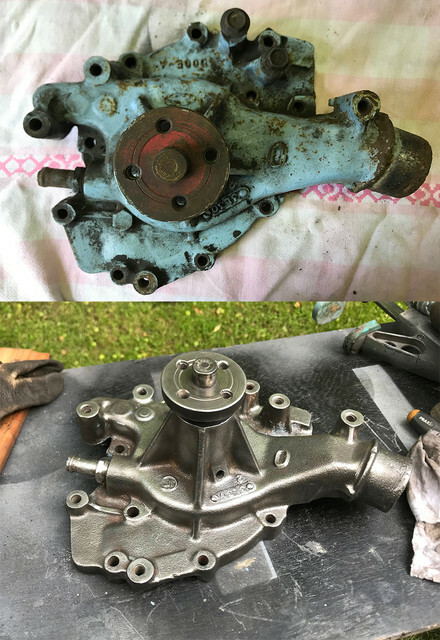 May it break, replacing a water pump is easy, so I figured I could better use that budget on parts I don't/must have versus the one that I have and can restore. Cost bit more time than hit the order button for sure but no regret at this point. Started the day taping the engine so it would receive a fresh coat. Bad luck, bought paint tape this week for this, and this supposed to be sharp tape turned out to not want to stick on the metal. It has an excellent adhesion on painted surfaces, ideal for many things but not painting my block... so pushed than one for next week. Pump wasn't finished yet, so while the fender was drying up, I've finished it. Another before/after reminder that bits of work can make a huge diff. 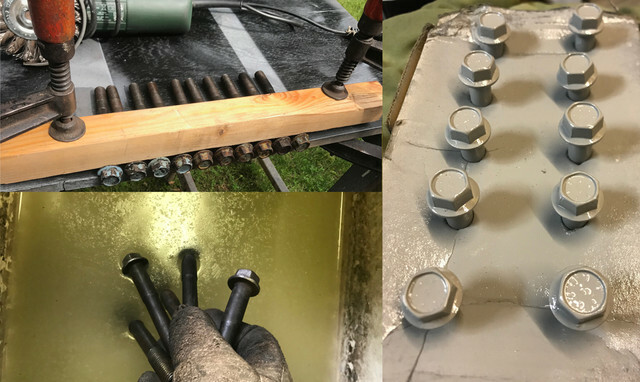 Still have to id each bolts required from the pile of bolts that I have and prep them, but at least, I can mark the water pump as done! Busy with more items at same time so I can regroup spraying sessions and have less waste. One of the "in between big things" candidate, is the wiper motor. 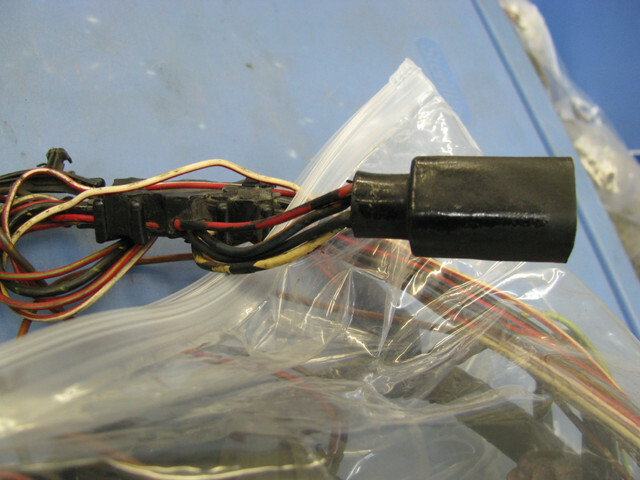 It's clear that at some point in time, a crucial part of the wiper motor assembly got lost. 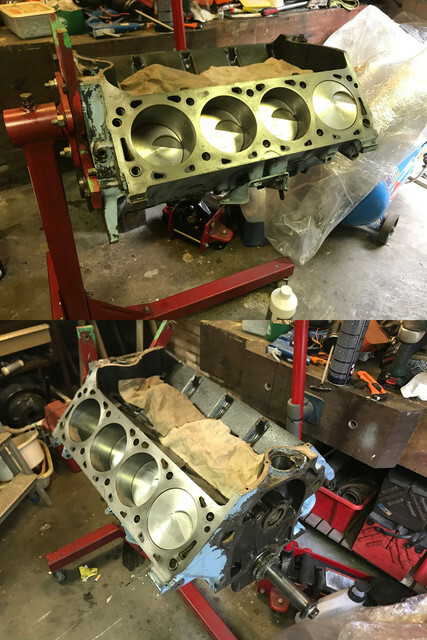 (06-17-2018, 12:18 PM)Fabrice Wrote: Started the day taping the engine so it would receive a fresh coat. 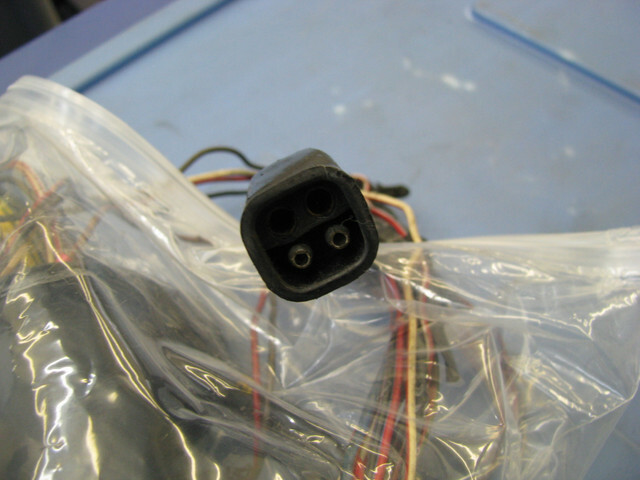 I know for a fact that the connector is not OEM! Yup, that's the connector I talked to you about in my PM, similar as on the 73. 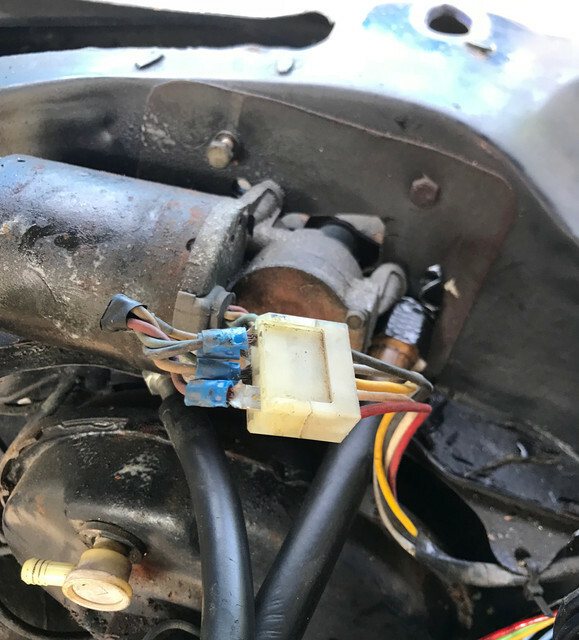 Question is, are these available somewhere or wiper motor harnesses with it and if not what would be a good alternative to this connector? Might be available as 4 pin trailer connectors, but I can cobble up a mating pair for you. Be warned: once mated, they may create lots of mini-connectors, much like rabbits when they mate. 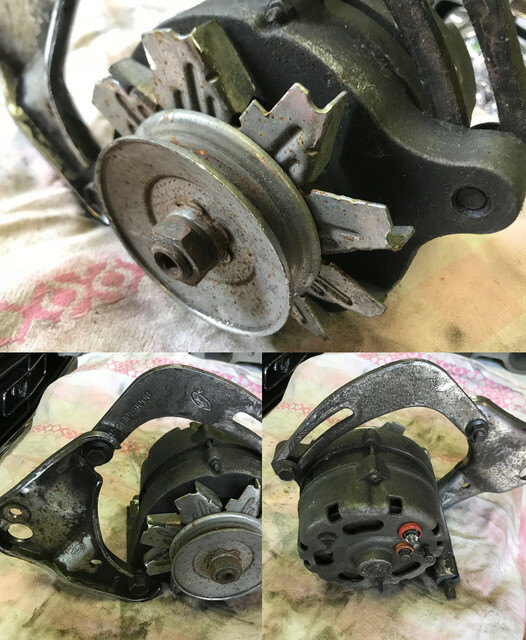 If you find a used wiper motor, it should come with a good connector on it. Don at OMS may have one. All 7123's should use the same wiper motor. I did not read every line of the post but I see the car has a 6 digit DSO code. That means it has options added to the build that are not regular production options. Can be paint, trim, wheels, etc.. the Build sheet will show what the special additions are on the bottom half. Marti cannot event tell you what the Special Order Items were he does not have than info. If you do not have the build sheet no way to find out what the Special Order was. Hope you have the build sheet would love to know what was Special on the car. If it did not violate EPA or safety regulations Ford would do anything you wanted. I do not have the stud you need Sorry. David, since the DSO starts with 90, that car was built specifically for export. The "0469" would be the DSO order number to deviate from RPO items and add or change what ever was necessary to comply with the shipped to country's laws. More than likely things such as the KPH speedometer and adjust to the left headlights for right hand drive countries. 99% of the time a domestic DSO order on a car was an exterior color request. That's why most of the time you see a DSO number on a non export vehicle (such as on your car) the paint code section was blank. Fabrice's car has "C" for Dark Ivy Green Metallic. Ford kept some DSO info for fleet and special truck orders, but the car DSO info went to the dealer and became their responsibility. And as Dealers transitioned to computers and upgraded those systems over the years, you know what happened to stacks of paper reports that were deemed no longer necessary and were taking up valuable space. Agree with you, if the build sheet is missing or illegible, the chances of finding what was actually special ordered on your vehicle is not good! Excellent, I'll PM you once I'll know more on the extend of the damage on the other side of the firewall. I'm gonna search for car/parts of similar years and see if I can locate some over here. You don't like my english??? No problem, Steve managed to locate the missing nut and 3 others specific lock nuts for the engine mount to block. On my side, found back important & missing hardware that were stored with non engine related parts and others were still on the block. As It was protected under a thick air tight layers of plastic, I did not know they were there. Cross my fingers, but looks like I may have all the necessary for the engine now. Still after that power window bezel tho. That's correct, the car has been repainted once in black with a mix of gold stripes, and lower body in grey. After removing parts, I was able to see the green. From what I saw, the black paint job was not done to the bone, so I expect to find back the original layer of green at many places. Build sheet : The original carpet is still inside, so may be i'll find it at some point. I also got a pile of papers of all kinds with the car that I still need to sort and go thru, may be it's there. So far, the car seams to have nice options for a 71. Its a deluxe interior, power disc brakes, rear defrost, radio+speakers, has power windows front and quarters, has the convenience group, map light is there. got the 3 gauges. Console is there but missing the ashtray and the clock. Its having the fold down rear seat, and only missing one of the trunk door handles. It has the thin trim mid body and it looks like the car was AC too, as the console as the airco panel and the glove box is not deep. Tho, i'm not 100% sure yet if these were installed out of necessity or if it was indeed an AC car. I'll go thru the interior once I have freed enough space to store it while busy on the body. From a quick inspection, floor looks solid on exception of driver front seat cup where water has entered the car and never left.